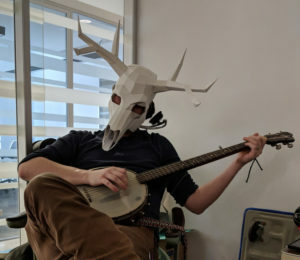 All That Yazz, a relatively new, Rosslyn-based soap business has managed to capture the sights, sounds and, most of all, smells of workspaces in Arlington. An offering of the small business is the “Executive Soap,” named for the contractors, consultants and government workers who make Arlington, Arlington. “It smells like power. It smells like corporate power. Which is ironic because it is a homemade soap,” said Yasmine Bandali-Alvarado, owner of All That Yazz. It captures that whiff of air in the wake of a coworker passing your desk to take care of something, she said. But the one-woman, two-year-old operation has few things in common with the high-rise offices around it. With microbusinesses come micro budgets. Plus, artists like her have challenges in running a business because they have to put a damper on their creative side in favor of thinking strategy, profit and the bottom line, she said. All that Yazz offers 18 soaps, most of which are vegan, but some are made with goat and even camel milk. 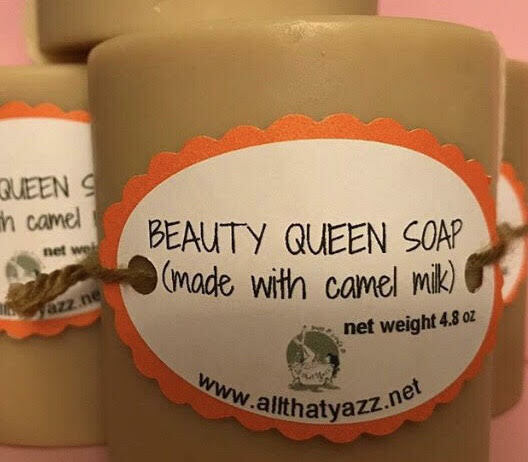 “It’s a very luxurious soap — the camel’s milk is a notch above the goat’s milk,” Bandali-Alvarado said. All the soaps are environmentally friendly; they’re free of palm oil, which has come under fire from conservationists because its production can negatively impact local ecosystems, she said. Farmers burn harvested palm trees to plant new ones, creating smoke and contributing to global warming, Bandali-Alvarado said. Wildlife living in palm tree plantations is driven out, sometimes into the hands of poachers. Bandali-Alvarado was raised in Kenya, giving her an especially deep appreciation of the issue. Like many such businesses, All That Yazz relies on local festivals to reach customers. There are enough events in Arlington, but the organizers should focus more on the microbusiness vendors, she said. Bandali-Alvarado’s friend Tineshia Willett, the owner of custom head wrap microbusiness, The Nicole Renee Collection, said she’s had similar experiences with festivals in the D.C. metro area. Even before they reach an event, there’s a problem, the women said. The owner has to first earn back the vendor fee and the cost of production before turning a profit, Bandali-Alvarado said. 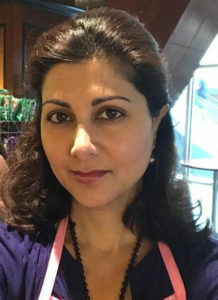 Mary-Claire Burick, president of the Rosslyn Business Improvement District (BID) said a hallmark of the organization is its business engagement program, which connects businesses and helps with marketing even for small businesses like All That Yazz. “Organizations like ours are critical, especially for small businesses,” Burick said. It offers some 200 events a year and access to its marketing channels. The founder of a small, Ballston-based healthcare startup says breaking things is his company’s key goal. Algernon Solutions is a consulting firm working with behavioral healthcare providers to improve the use of their patient databases, thus enabling physicians and their support staff to provide a better standard of care. In order to that, things have to be broken, said Jeff Cubeta, the company’s founder. Cubeta and his chief engineer, Michael Schappacher, are both behavioral health practitioners, so creating a company focused on that field is fitting. They believe that means they understand their clientele and speak their same language, making problem solving easier. He and Schappacher are the company’s two employees, Cubeta said, but in a sense there’s a third “employee,” named Algernon. Algernon is not a who but a what; the firm refers to its Clinical Intelligence Platform (CIP) as Algernon. Algernon can be thought of as a giant sponge, absorbing information from data sources such as Electronic Health Records (EHR) systems. “We don’t build EHRs, we make them better,” said Cubeta, adding that there are already plenty of health records and data systems out there: some bad, some good. The data is collected and routed to the appropriate sources, which isn’t necessarily the healthcare provider, but the people who support the healthcare providers’ practice, freeing up time for humans to actually focus on patients and not a computer screen. Providing solutions to individual healthcare providers and hospitals is a large field, but providing solutions specifically to behavioral healthcare providers is a much smaller field, Cubeta said. “We don’t have any direct competitors,” he said, adding that it took a “fair bit of looking,” to find a company offering similar services. 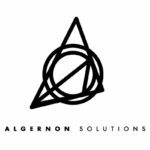 Algernon Solutions relocated from Fairfax County to Arlington because of its proximity and luxury office spaces. “It’s the first time I’ve had an office with windows,” Cubeta said of the firm’s Wilson Boulevard location in the TechSpace co-working offices. “We’re fresh out of the box.” The company celebrated its first anniversary on Dec. 6. There are quite a few reasons tech startups choose Arlington, including the variety of office space options, said Christina Winn, director of business investment for Arlington Economic Development. Cubeta said Arlington’s proximity to its Washington, D.C.-based clients is another perk. There are also a number of research agencies in Ballston, and the county more broadly, Winn said. 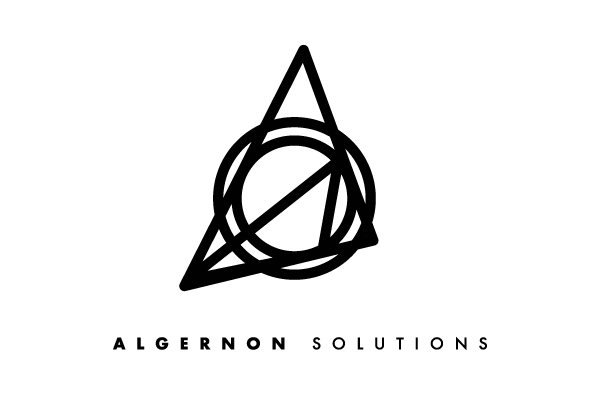 Many clients and potential clients incorrectly assume the name “Algernon Solutions” is taken from a fictional book about a pharmaceutical company researching treatments for the mentally disabled, Cubeta said. “Flowers for Algernon,” by Daniels Keyes, is controversial but acclaimed, and required reading in many public secondary schools. The company’s namesake is actually Algernon Moncrieff, Cubeta’s mentor. Cubeta and Schappacher say the goal is to one day have pharmaceutical companies as clients. For now, Cubeta said, the focus is on behavioral healthcare providers.